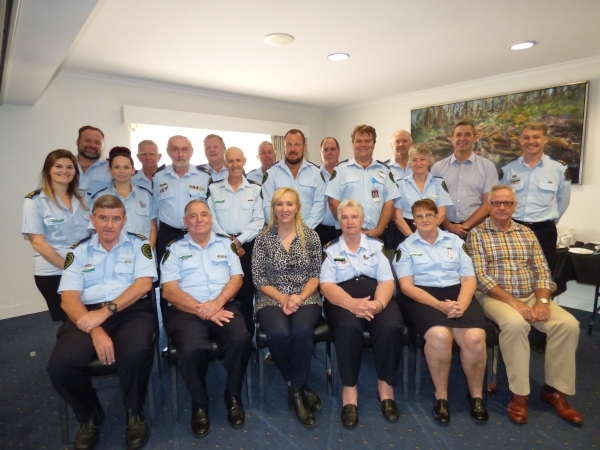 The RFBAQ General meeting was held over Saturday and Sunday 30th and 31st March 2019. 3 Brigade Grants presented for review. Each grant was spoken to by the local RFBAQ Representative and all 3 grants were approved. In addition the State Executive voted on an additional grant scheme worth $150,000. Tumoulin RFB in the Innisfail RFSQ Area grant application of $10,000 has been approved for plumbing and septic installation in their new fireshed. Currently the brigade appliance is stored in a members farm shed. Bungadoo RFB in the Bundaberg RFSQ Area grant application of $2,190 has been approved for a 5,000 gallon water tank for their fire shed. Booie Rise RFB in the Burnett RFSQ Area will receive $2,500 in support for a brigade member whose house was very heavily impacted by the mega storm late last year. Resolution passed today is to add PTSD as a deemed illness to the Workers Compensation legislation that is being review next year as part of the presumptive Cancer Coverage legislation 5 year review. The State Executive (all elected representatives) voted on presenting a 5 point plan to Commissioner Carroll, Deputy Commissioner Smith and Deputy Commissioner Wassing when they attend the meeting Sunday morning. Sunday saw a motion from the floor regarding the need for welfare advocates to be attached to strike teams and task forces that travel between area and regions. Again during this very large fire season we saw brigade volunteers in a number of occasions not being fed, not getting accommodation, driving for extended periods to get to the fire then working 12 hours on the fireground then having to drive for hours to find a place to stay. The RFBAQ reps acknowledged that the BTSO’s that are assigned to support strike teams have been taken up by incident control to fulfil other roles instead of focusing on the welfare of the brigade volunteers and that this is not the fault of RFSQ Staff. The Welfare Advocate would be a brigade volunteer with experience who would not be able to be re-tasked by Incident Controllers or Regional Control and whose primary purpose is to ensure that brigade volunteers receive the highest support possible in the environment that they are operating in and this will ensure that brigade volunteers feel and are appreciated and will continue to volunteer into the future. The RFBAQ will progress this initiative with RFSQ State Office to achieve consistent policy application across the regions. Commissioner Carroll, Deputy Commissioner Doug Smith, Deputy Commissioner Mike Wassing and the Commissioners’ Chief of Staff Christine Pope attended the General Meeting from 0900 until the meeting rose at noon. The RFBAQ State Executive tabled 5 points that were supported as the goals the RFBAQ wished to achieve in the transition process to Regionalisation. These points were well received by the QFES and related to consultation, command and control by Rural Fire Brigades with true place based decision making, the goals both short and long term that QFES are trying to achieve and ongoing and increasing equipment and funding support and legislative empowerment for the brigades that defend 93% of Queensland. Consensus was mostly achieved and between now and Wednesday when the RFBAQ again meet with Commissioner Carroll more structure and content will be placed around the agreed positions. This will be distributed to brigades when finalised. Don't forget about our 100x Truck Communication Grants! Closing date for applications is 30th April, so if you haven't already get yours in now!